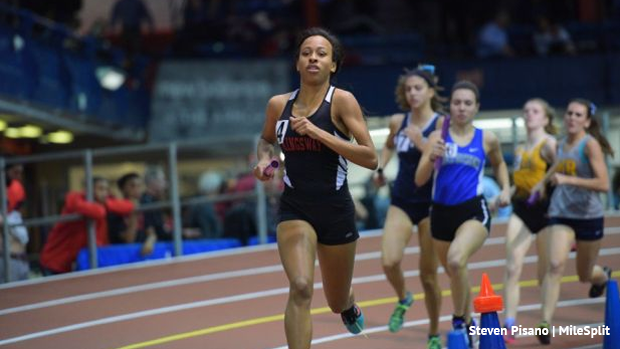 Once again the NJSIAA will be featuring a showcase of events at the Meet of Champions this winter, the 200 meter dash and 4x800 meter relay. Any NJSIAA team and athlete in the state can be entered on the meet page to become eligible for the showcase. The fastest 24 entries will be accepted to the event, so again if you plan on attending or want a shot at the showcase you should enter online by noon February 13th. For the 200 meter times only F.A.T. performances will be allowed, no hand time conversions. Again note that ANY of the NJSIAA teams in the state can enter this showcase, the top 24 that SIGN UP will be invited to the Meet of Champions to compete. So if you would like to join the Showcase sign up here, if you are in the top 24 and do not want to run then don't sign up or eventually remove your entry so they know who is attending. As of February 2nd only three boys 4x800 teams, nine boys in the 200 meter, five girls 4x800 teams, and 11 girls in the 200 meter have been entered. That leaves a lot of qualifying spots! So what are you waiting for?